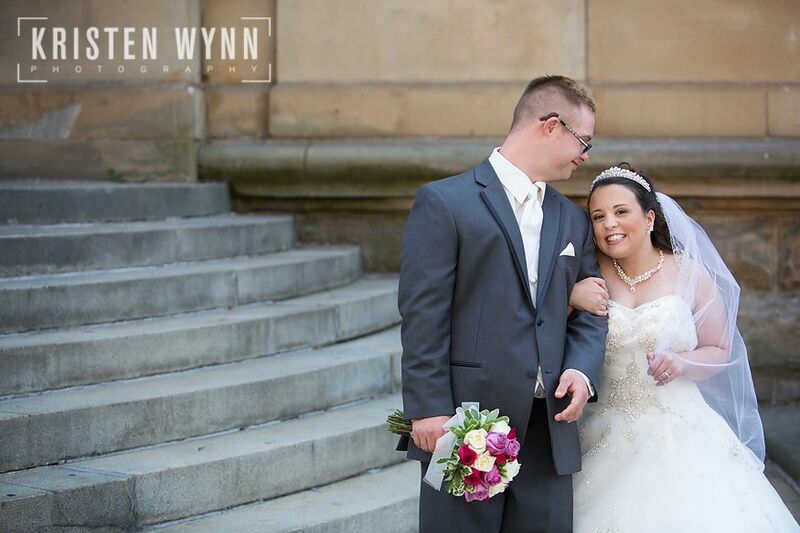 This is a very special wedding to me – I first met Loren through her sister Erika, who is also a professional photographer. 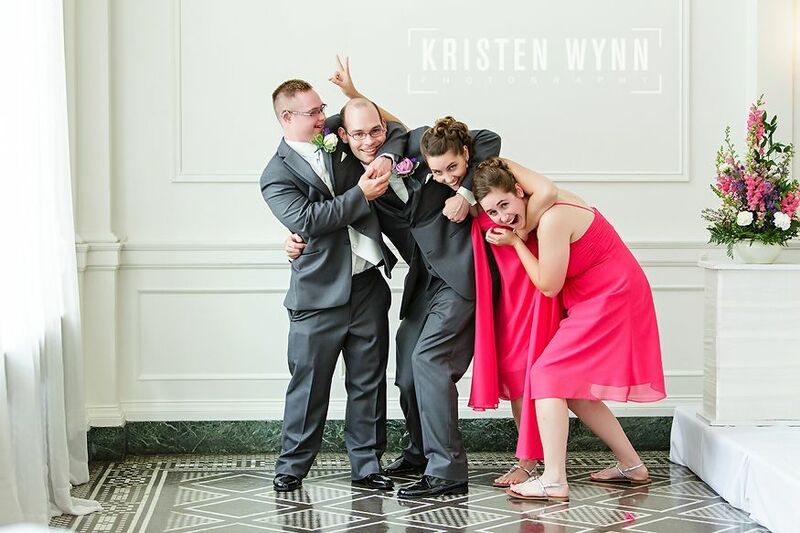 🙂 It was wonderful to meet Erika, her family, and her kids at the wedding – but also to see her sister and her new brother-in-law get married! 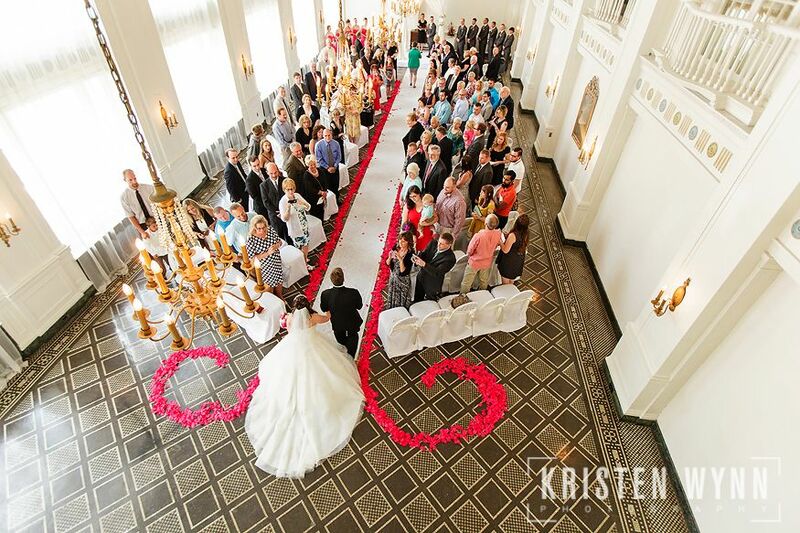 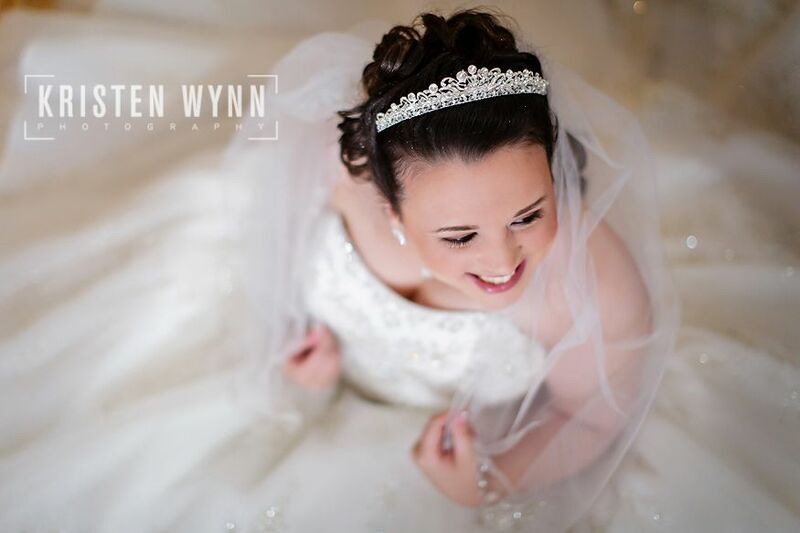 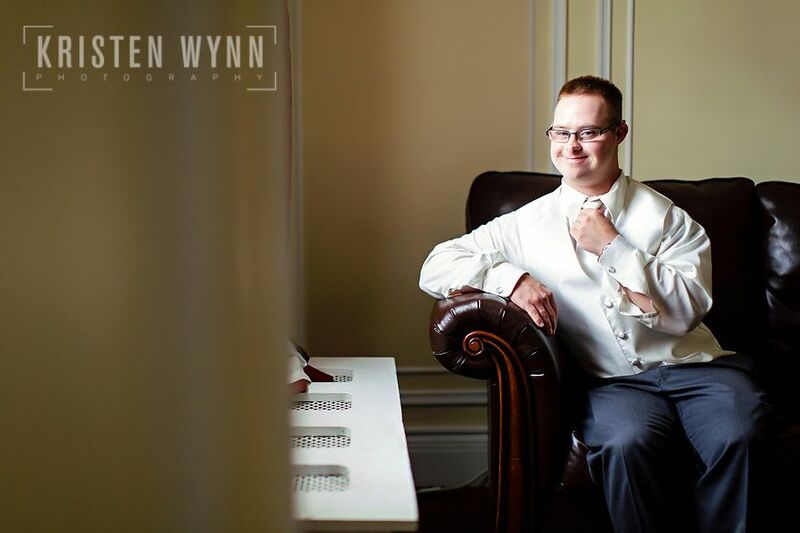 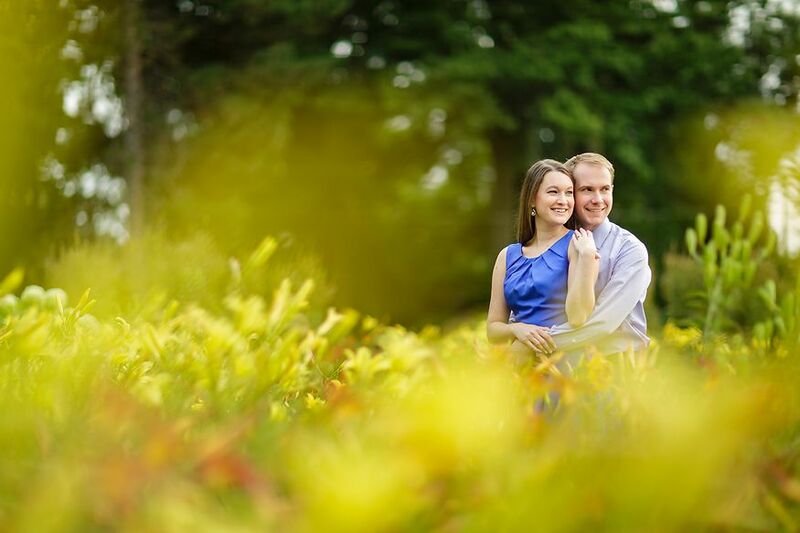 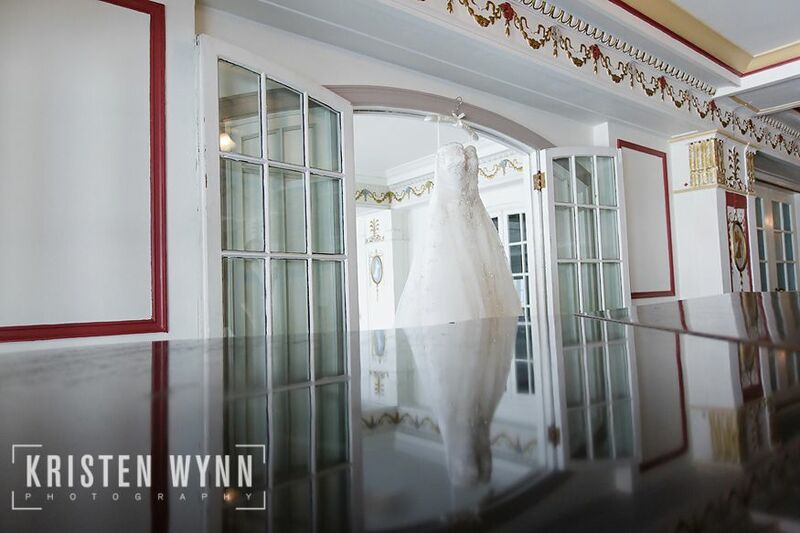 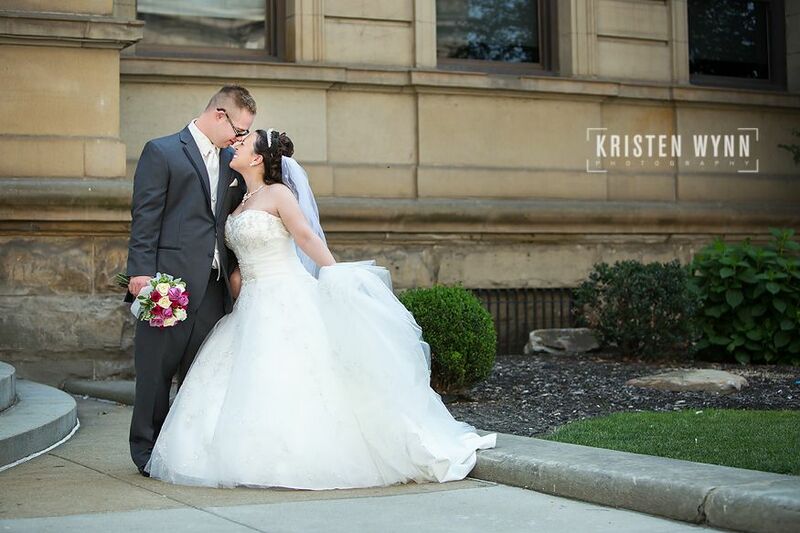 Loren and Eddie have been dating for ten years, having met in high school, and they celebrated spending the rest of their lives together at the George Washington Hotel – Loren’s parents had their wedding reception there too! 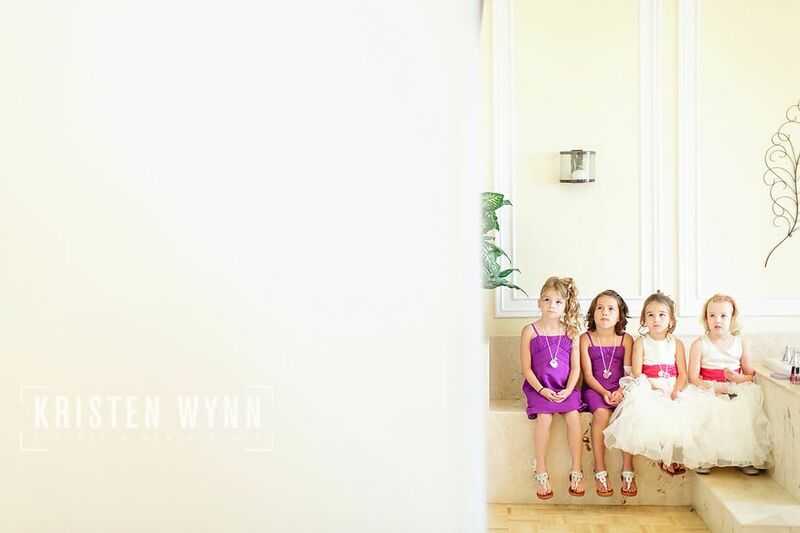 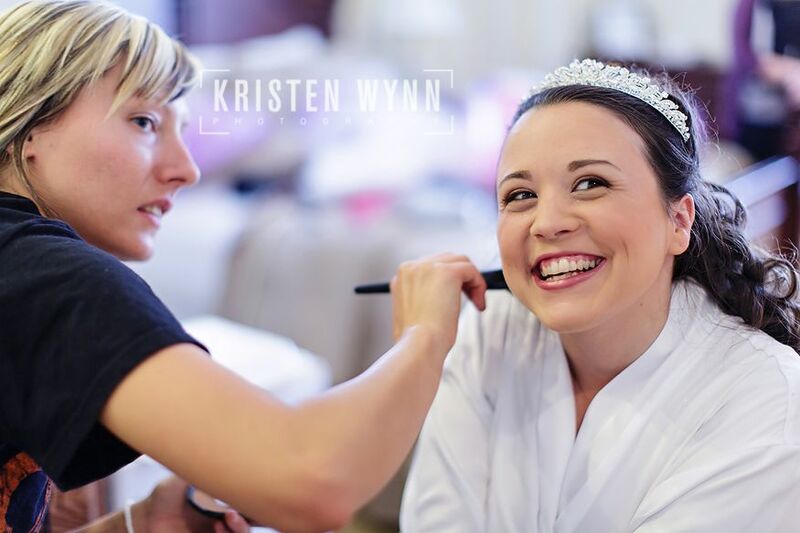 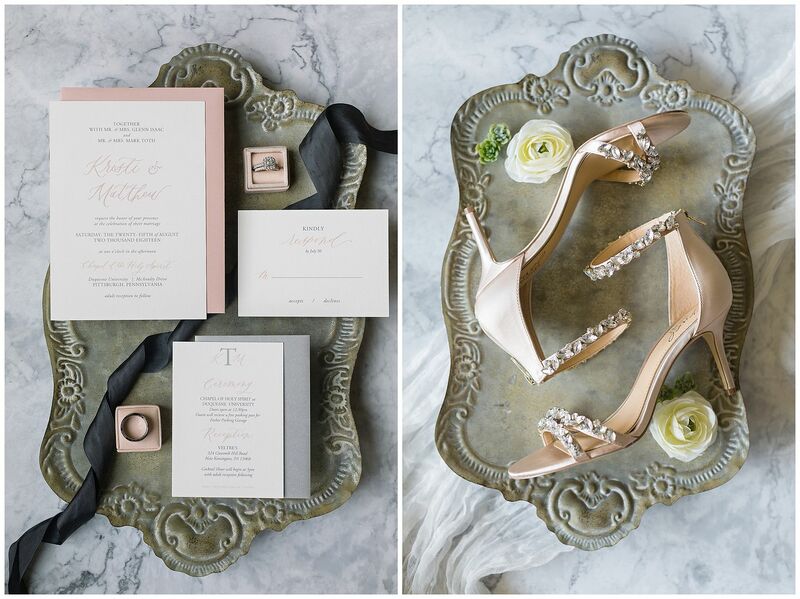 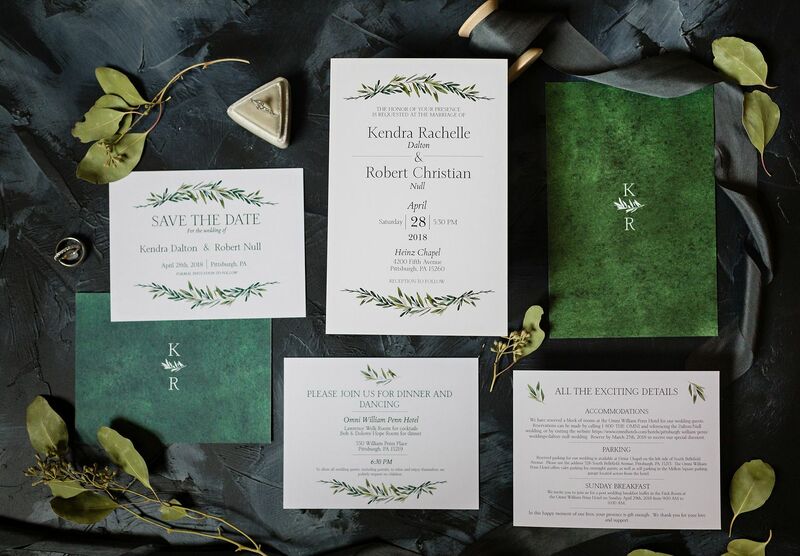 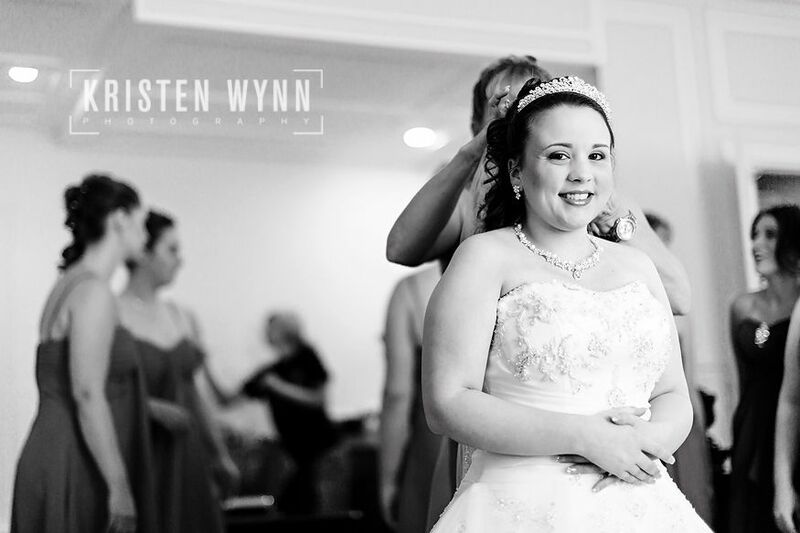 Loren and her mom are both into the wedding details and planned the day together. 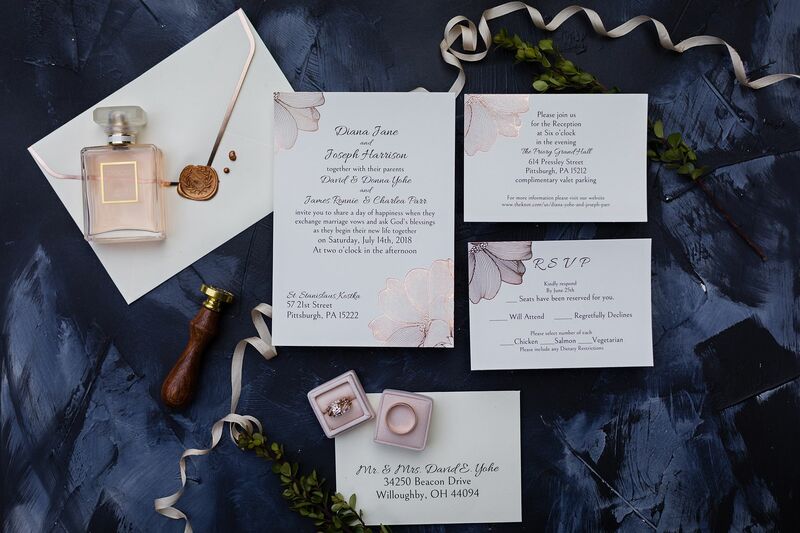 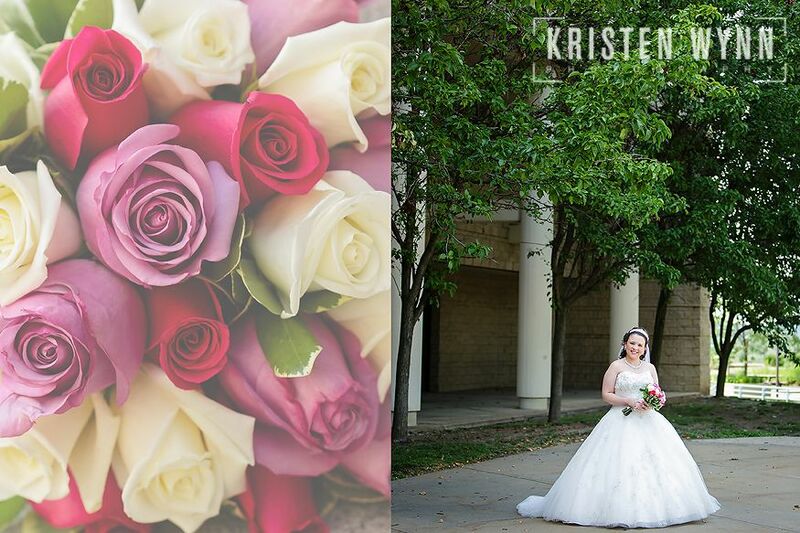 Loren chose the colors of the wedding – purple and pink, and Eddie made Loren a book featuring their photos over the years of dating as a wedding present. 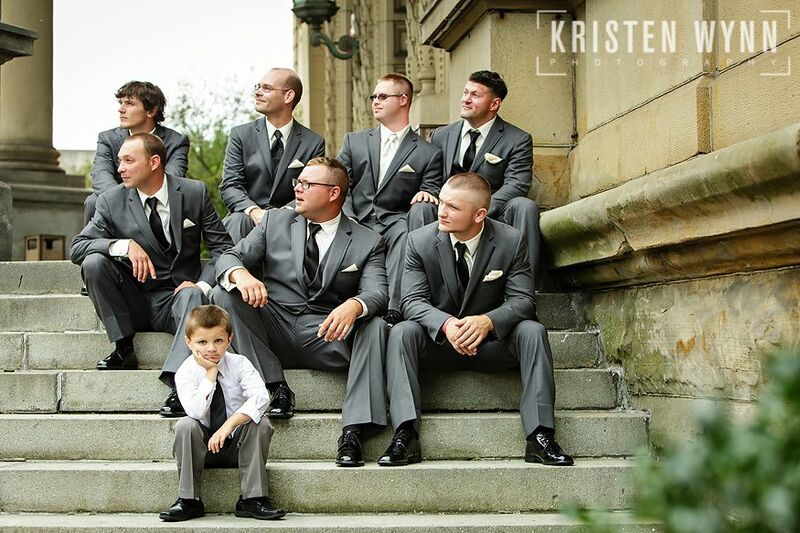 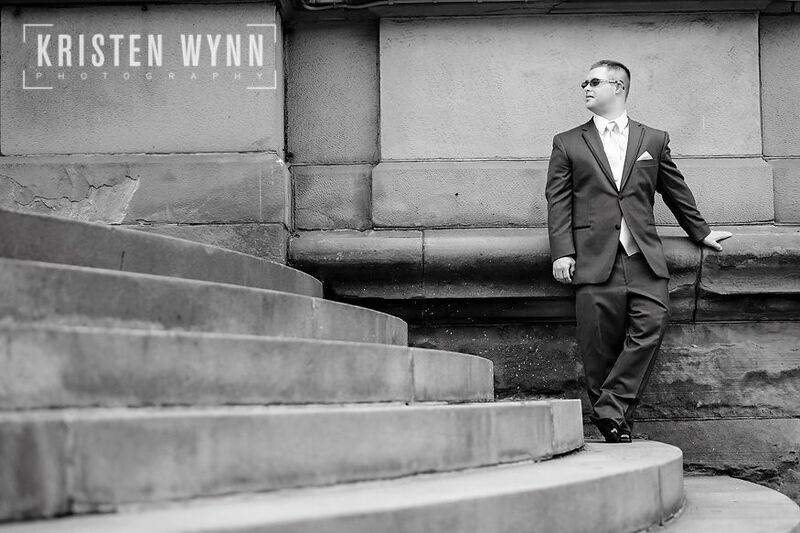 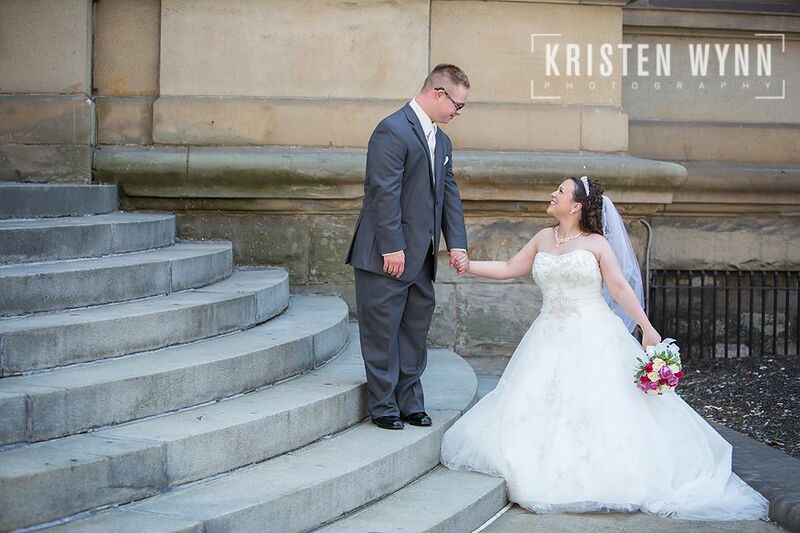 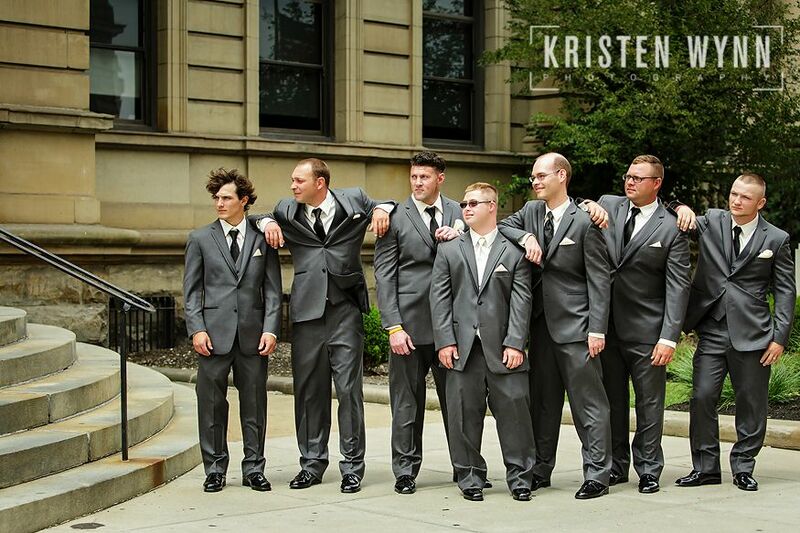 They shared a romantic first look on the steps of the courthouse before their ceremony. 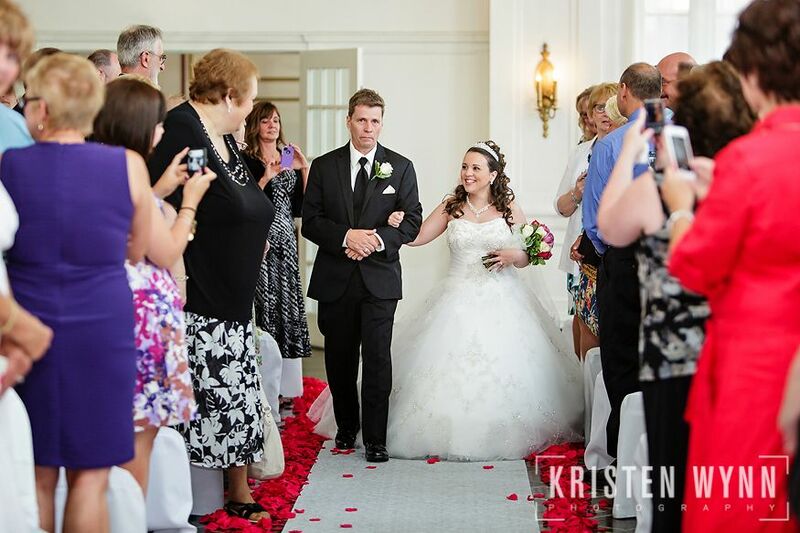 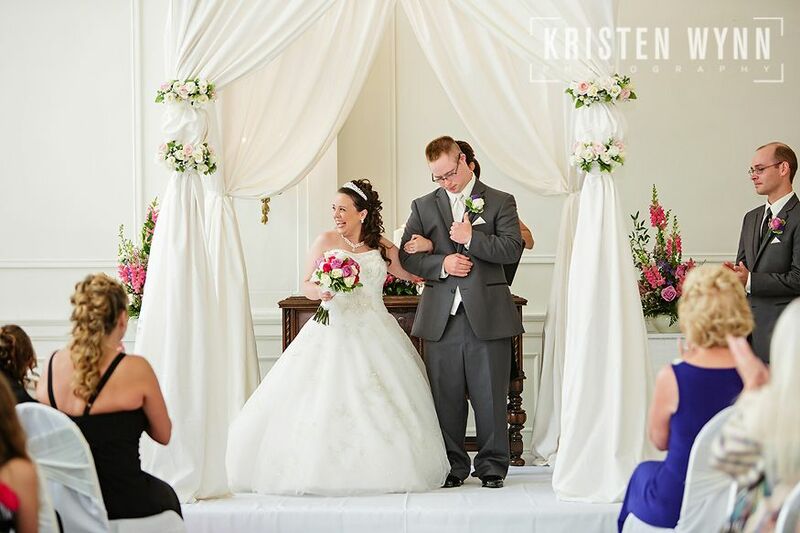 There was not a dry eye in the house during the ceremony in the pretty, light-filled room! 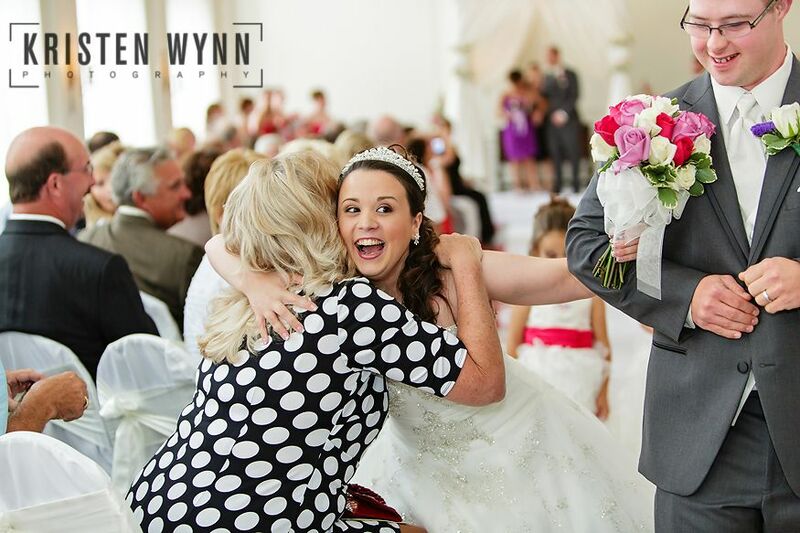 I don’t cry often during weddings, but I just couldn’t stop myself. 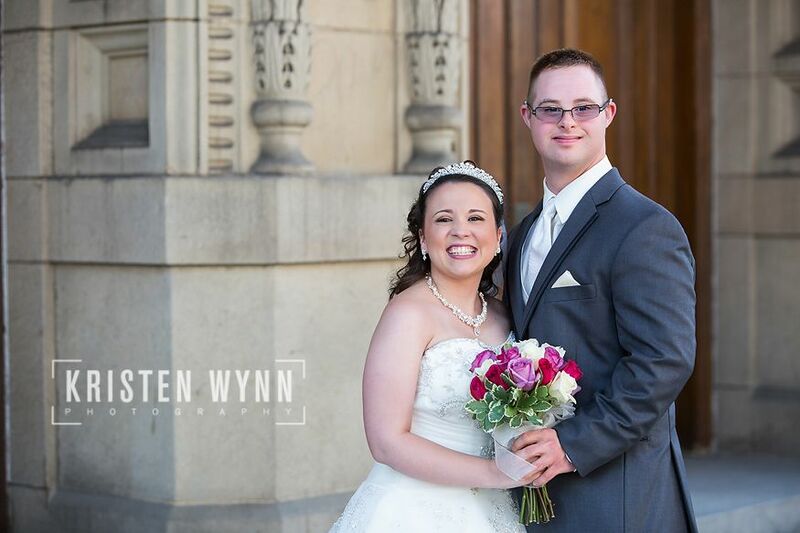 Love is love, and this was beautiful and pure love between a young couple. 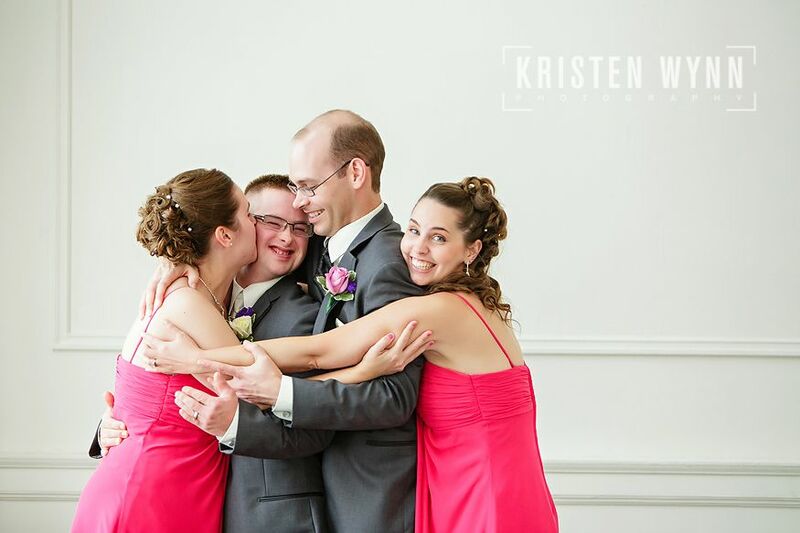 Two families came together as one. 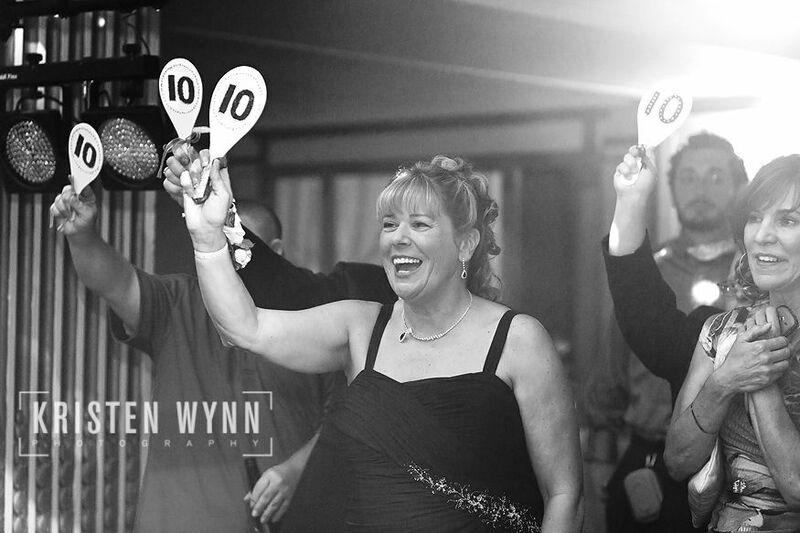 One of my favorite touches was that, after a beautiful first dance, the guests held up “10” paddles a la Dancing with the Stars to give them a perfect ten on their routine. 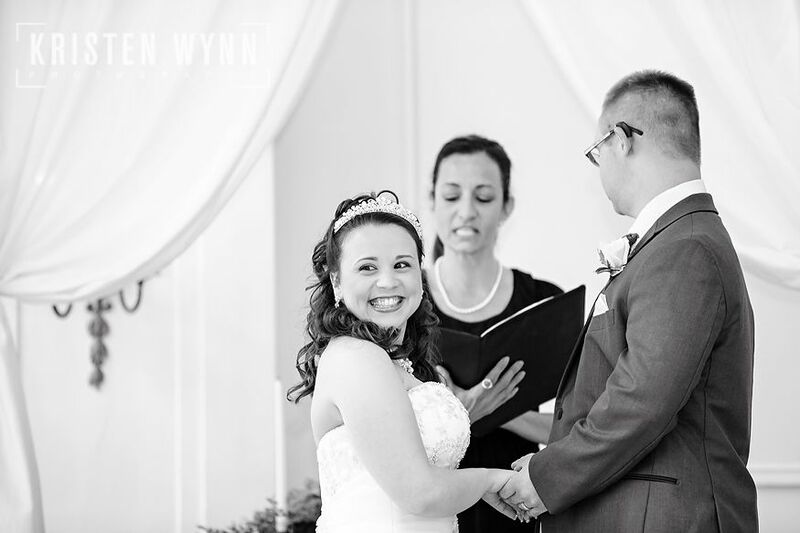 Following their reception, Loren and Eddie headed to their honeymoon in Florida at Walt Disney World (one of my favorite places), and they even had the custom bride and groom Mickey ears for the trip! 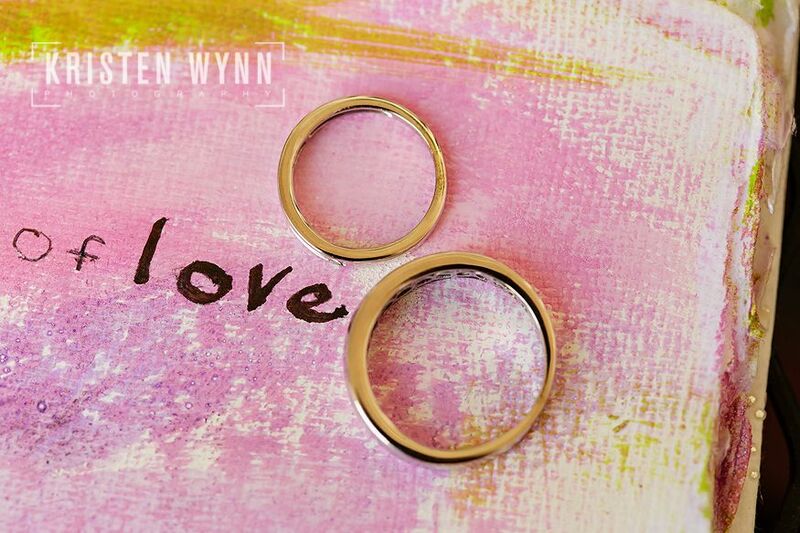 I wish you two a lifetime of love together. 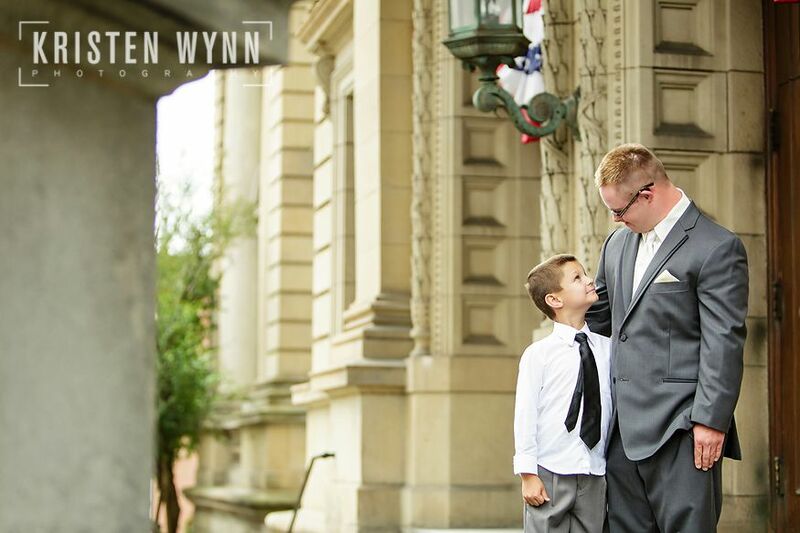 Your smiles and sweet words to each other will stay with me as a reminder of what wedding days should be. 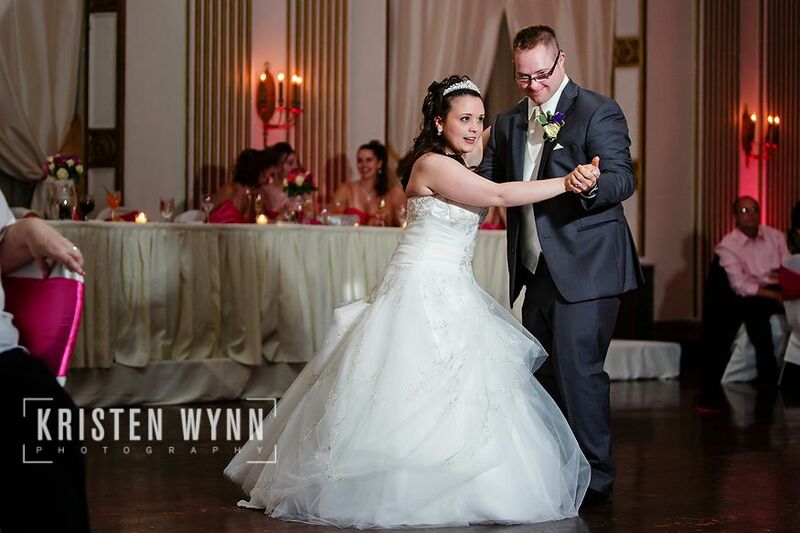 The combining of two families and perseverance in a relationship inspires me and is an example to us all.